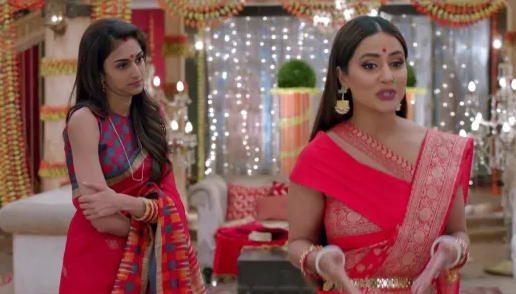 Kasautii 'Jail' Ki: Has Hina Khan Finally Ended The Cold War With Erica Fernandez? Hina Khan and Erica Fernandes's bitter-sweet relationship has been making headlines. The fans of Kasuatii Zindagii Kay have always been curious about the cold war between the two leading actresses. The audience wondered if the animosity between Komolika and Prerna in the reel life seeped into their real lives as well. However, both the actors claimed to be professionals, and therefore, squashed the rumours, stating that a relationship takes time to build. Hina and Erica have been making a lot of effort to bond with each other. They were even spotted playing Holi together on the sets of Kasuatii Zindagii Kay. Hina Khan has been consistently active on her Instagram handle. From upcoming looks to selfies with co-stars, she frequently shares updates from the show with her fans. Recently, the actress posted an Insta story wherein she is flaunting her #KomoSwag in an elegant saree. What caught our attention was the presence of Erica Fernandes in the background. This is the first time that Hina has shared a BTS video with Erica. Is this the end of the cold war between the two actresses? In a bid to prove his loyalty to Komolika, Anurag lies to the police about his marriage to Prerna in order to protect her. Prerna is then arrested, but somehow Komolika manages to decipher Anurag's true intention behind his plan. She visits Prerna and Anurag in jail and threatens to create havoc. Drama, drama, drama! 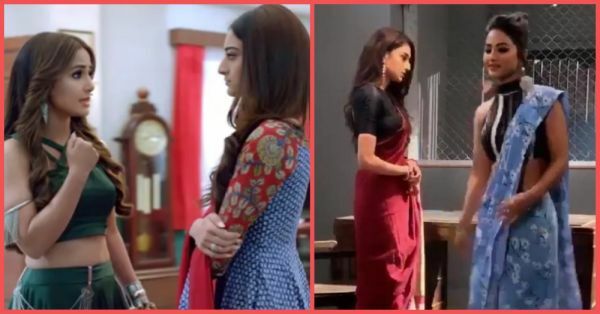 Hina might have worked on her relationship with Erica, but seems like Komolika's hostility towards Prerna continues to grow on the show.